NFL On Thanksgiving Day Preview: Can the Lions, Cowboys, And Redskins Give The Home Crowd Something To Be Thankful For? Thanksgiving Day is a day that speaks to most Americans on another level. Do we love anything more than a day where we are supposed to overeat and do nothing but watch football? Not likely. In a perfect world, the games take place between highly competitive teams. But let’s be real. We are all going to have bellies full of turkey, mashed potatoes, stuffing, and pecan pie. We’re not moving off the coach unless we absolutely must. As usual, two of the day’s games are hosted by the Detroit Lions and Dallas Cowboys. The Lions will be looking to gain some ground in the NFC North. With the Kansas City Chiefs losing four of their last five, the Chargers have a shot in the AFC West. The Philadelphia Eagles are running away with the NFC East. But if Dallas wants to keep their slim wildcard hopes alive, they need a win. In the nightcap, the New York Giants and Washington Redskins will have nothing more to play for than pride. Neither is eliminated from the postseason, yet. But it would take a minor miracle for either to make it at this point in the season. It should be a great day of action for fans to watch with friends and family before, after, and for some, during their Thanksgiving meal. 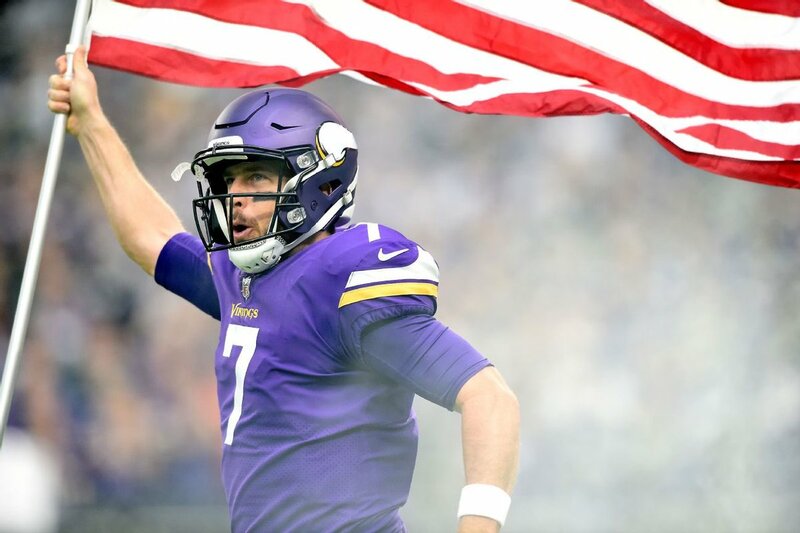 At this point in the season, with how both teams have played, it is almost hard to believe that the Lions beat the Vikings in Minneapolis, 14-7. Neither quarterback played well, but two Minnesota turnovers led to ten points for the Lions. Since then, The Lions are still struggling to establish any kind of running game. But luckily, Matthew Stafford has been able to produce enough offense for them to win more than they lose. Case Keenum has gone on to become one of the better passers in the NFL. The run game has been able to do enough, and their defense is capable of shutting down Detroit’s offense. But can the Lions defense do the same? No. Oddsmakers have only made the Vikings a 2.5-point favorite. As long as Minnesota doesn’t turn the ball over this time, they should win this one with ease. Had this game taken place three weeks ago, it would have been easy to say the Cowboys would run over the Chargers. But now, that call is a lot harder to make. 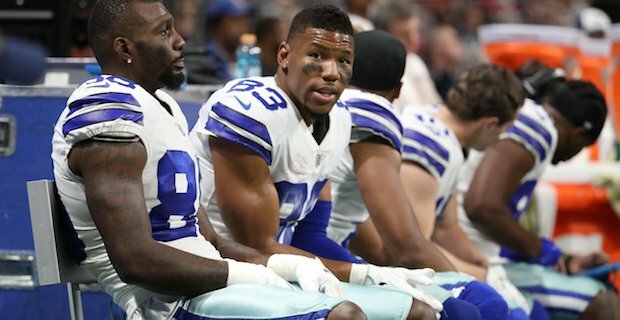 Ever since the Cowboys lost Ezekiel Elliot to a six-game suspension, Tyron Smith to a groin pull, and Sean Lee to a hamstring injury, they have forgotten how to play a complete game. Despite blocking issues against the Falcons, they were only behind 10-7 at the half. Against the Eagles, they were ahead 9-7 at halftime. But in each, they played terrible in the second half and lost. The Chargers, on the other hand, have been giving some of the better teams in football a challenge of late. They were competitive in losses to the New England Patriots and Jacksonville Jaguars. Last week, they took advantage of Buffalo’s issues and scored two touchdowns on defense. Last season, it would have been easy to say that wouldn’t happen against the Cowboys. But Dak Prescott has been getting hit—and fumbling – a lot lately. Joey Bosa could be in for a career game, and maybe even a touchdown or two. Dallas is favored by one, but with how they’ve played lately, it is hard to imagine them beating Cleveland let alone San Diego. It would be easy to look at this game and say the Redskins should run away with it. But they lost one of their best offensive weapons last week in running back Chris Thompson and blew a 15-point lead against the New Orleans Saints late in the fourth quarter. Then again, they are playing the Giants. While you would hope the Giants would play better against a rival, there is little reason to think they will. Prior to Sunday’s surprising win over the Chiefs, they had lost their last three games 106-48. Injuries have decimated their offense, and the defense seems to have lost the will to live. But then against the Chiefs, they hold one of the better quarterbacks in the league this season to 230 yards and intercept him twice. They also managed to limit Kareem Hint to 73 yards on 18 carries. However, with how the Chiefs have struggled of late, is this really much of an accomplishment? 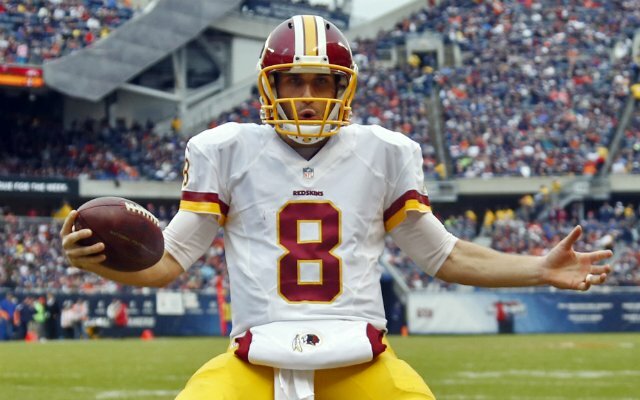 Oddsmakers have made the Redskins seven-point favorites. While the injuries Washington has suffered on offense and their defensive collapse against New Orleans is a reason to make you pause—don’t. The Giants barely beat a team that is struggling while the Redskins lost to one of the hottest teams in the NFL. Their games from last week don’t compare. Kirk Cousins is going to go nuts and cover this spread with ease.